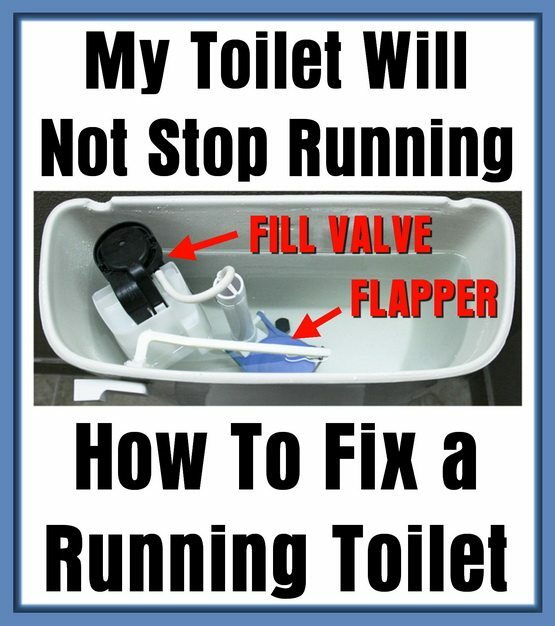 My Toilet Will Not Stop Running – How To Fix a Running Toilet? How do you fix a toilet that keeps running? You flush your toilet, walk away, and five minutes later you still hear the toilet running. If you’re like most, you give the handle a jiggle, hoping that will solve the problem. Well, it didn’t fix the issue and now you’re listening to the water running in the toilet. This will increase your water bill if not fixed. You need a step-by-step method for how to resolve this problem. 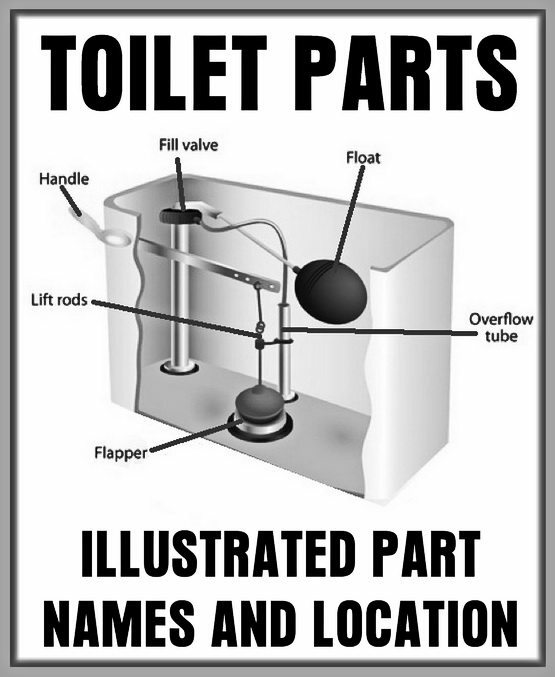 We recommend you understand where the toilet parts are and what each part does before you attempt to fix it. Read on below and check the videos and images to understand how it works and fix it yourself. There is an easy fix to this common issue. And best of all, it takes only a few household tools and virtually no time at all. The fill valve is located inside the tank of the toilet on the left side. It is connected to a water line and is responsible for filling your toilet once you have flushed. Attached to the fill valve you will find a float. Once you flush the toilet, the float will sink with the water level. As the water returns to the tank, the float will be used to gauge the water level and stop the tank from overfilling. The flush valve is in the center of the tank. It is covered by a flapper, which opens when you flush the toilet. When the flapper is open, the water can leave the tank and go into the bowl to do its job. Once the water has emptied from the tank, the flapper will close and the tank will begin to fill with water. TOILET REPAIR – Where are parts located and what are they called? There are a few common culprits for a running toilet, and most of them are an easy fix. The seal between the flapper and the flush valve prevents water from leaking out of the tank. When the flapper is bad, water will leak from the tank to the bowl. You will know the flapper needs to be replaced if you inspect it and see irregular notches or bumps. The edges of the flapper should be smooth and fit snug within the flush valve. A properly sealed flush valve causes the float to go down and tell the tank it needs to refill. When the seal is broken, the water will continuously leak and the tank will keep trying to refill. The fix to this is easy. Turn off the water to your toilet by turning the shutoff valve clockwise. Flush the toilet to empty the tank. Then, remove the flapper and take it with you to the hardware store. Be sure to note what brand your toilet is. Buy a replacement flapper, put it back on, and you’re good to go. Don’t forget to turn the water back on. If the flapper is in good condition, the next thing you should do is check the chain. The chain connects your toilet handle to the flapper. When you flush, the pull from the handle causes the flapper to open and release the water into the bowl. If the chain is too long, it can become tangled and get stuck between the flapper and the valve. This breaks the seal between the flapper and the valve and makes the tank leak. To fix this problem you can reduce the slack on the chain where it connects to the toilet handle. Simply move the clip that connects the chain to the handle further down the chain. Snip off any extra chain with wire snips. If you have checked the flapper and the chain and you still hear the water running, you may have a problem with the water level inside your tank. The water in your tank should be about a ½ inch to 1 inch below the overflow pipe in your tank. If it is too high, you will likely hear a constant running sound. To adjust your water level, you will need to adjust the height of your float. If you look at your float, you will see a screw that connects the float to the fill valve. Simple turn the screw counterclockwise, just enough to lower the float. If your float has a metal arm that connects it to the fill valve, you can bend the arm to lower the level of the float. A running toilet usually has an easy fix. It doesn’t require you to spend hundreds of dollars to have a plumber make a house call. Get your hands a little dirty (the water inside the tank is actually clean) and repair the toilet. If you have comments or questions, please leave a comment below and we will be happy to assist you. The problem stems from the water coming in from the wall.